Whether your child is a little princess or a budding astronaut, a car-crazy toddler or wannabe ballerina, decorating their bedroom can be a real challenge. However, there are some great tips and ideas that can make all the difference when creating the perfect living space for your children. 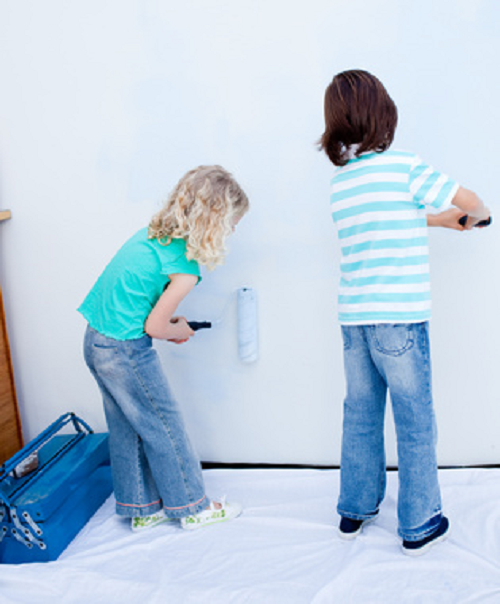 Decorate the kids bedrooms today. Let your kids get involved in the decorating, and, if they’re old enough, allow your children to choose the theme of their room. It’s a fun way of keeping little ones out of trouble, and might even encourage them to keep it tidy. If your child is too young or simply wants to paint everything pink, you can compromise by opting for a neutral backdrop and introduce color gradually with curtains, fun wall stickers and other accessories. Make room for clever storage: store toys in colorful, see-through plastic boxes for quick access to beloved teddy bears or a growing miniature car collection. Kidspace shelving units are useful for keeping book collections tidy and are easy to reach for little fingers. Keep furniture safe and fun. Furniture should offer a vast array of smart ideas such as bunk beds that are great space savers; giving more room for playtime or inviting friends over for pajama parties. Secure free-standing furniture by affixing it to walls, and ensure drawers won’t be used as climbing steps by installing child-proof systems. Cozy lighting options such as dimming light switches are especially useful for checking on slumbering young ones. This choice of soft lighting also comes in handy for children that may be afraid of the dark, whilst lamps and night lights in soothing colors will encourage hyperactive children to snuggle down at night. You might like to divide up your child’s new bedroom by creating different areas for sleeping and playing. Big cushions or beanbags can liven up any play area, and this separation will help encourage a more regular bedtime routine. The key is to have fun decorating your kids bedrooms and getting your children involved; see where their creativity and imagination goes. It’s worth keeping in mind that since children have a tendency of changing their minds, you might want to think twice before going for that Harry Potter mural! ← Planning for a baby? Trying to conceive?